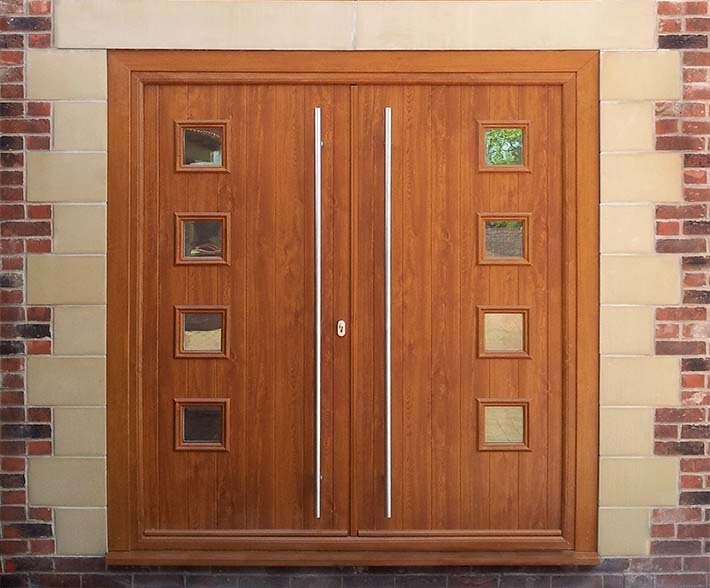 The Urban Door Company are proud to present our solid wood doors designed as a real statement piece. 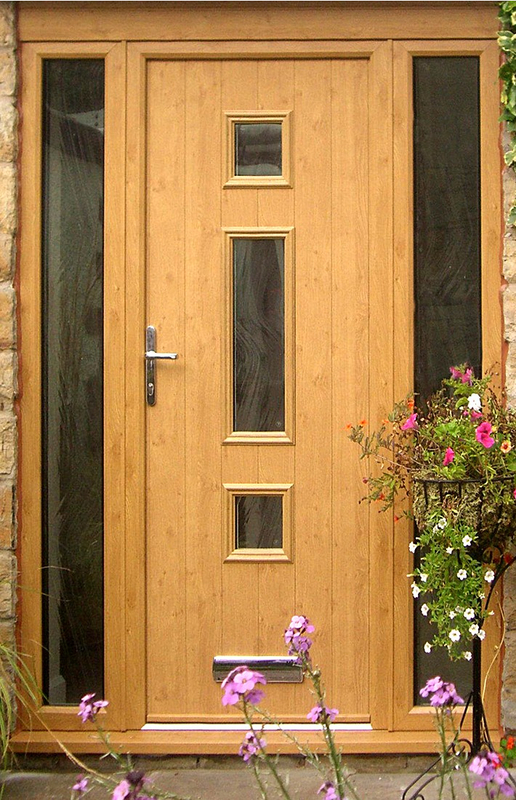 Come and view the wooden doors in our showroom showcasing a variety of styles, stains and colours. They really are a work of art. No veneers in sight! We can make any design you desire - contemporary or traditional- come to the showroom where we will help you design your dream door. When seeing the doors in the flesh, you will be struck by the weightiness of the door and how it closes with a reassuringly solid feel. The door itself is 56cm thick. Security is, naturally, paramount; advanced locking mechanisms provide security and with high security cylinders fitted as standard. Available in Solid Oak or if going to be stained the hardwood Idigbo which is much more stable than the alternatives. Idigbo is an oil based hardwood. It has natural oil content which not only stabilizes it, it means it is also naturally resistant to moisture, decay and insects. It also has a much less wild grain making it strong, stable and durable. This combined means it is much less likely to split or warp. Our doors are available in a wide variety of different stains - our showroom has samples of these stain colours to view. 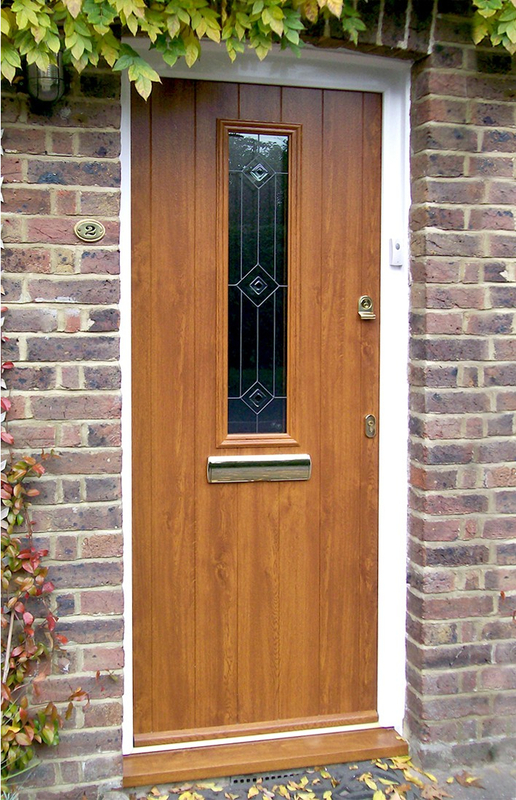 If you wish to have one of our doors painted we can match to any RAL colour and will use an engineered timber which is exceptionally strong. This is due to multiple layers of timber arranged so that the grain is laid in the opposite direction to its neighbours. 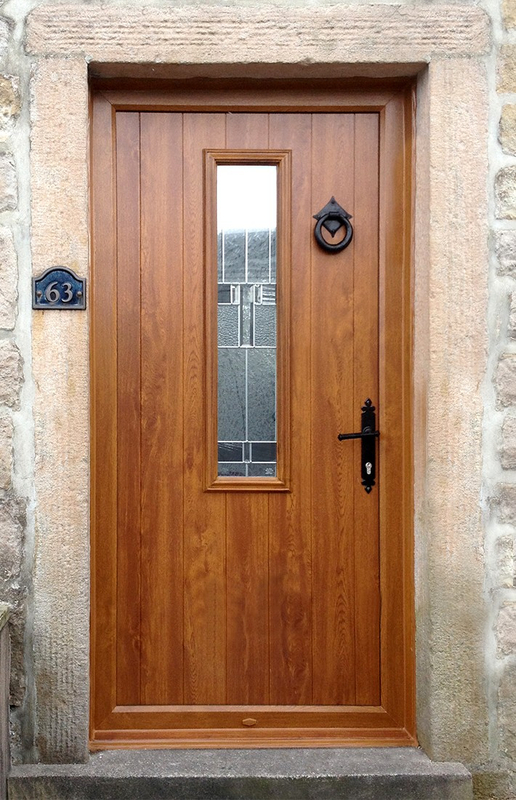 Any movement caused by moisture goes in the direction of the grain and so each layer works against the next – the result is a timber that is resistant to any warping or twisting, keeping the timber door and frame rigid and fitting perfectly for years, whatever the weather. Combining two colours on one door set is also popular, most commonly applying a lighter shade internally to complement interior decor. We can also make stunning wooden French doors, Bi folding doors and Stable doors - really make a statement of the back of your house.